The surfaces of the panel are painted by adhesive paint, which is very well coated. And this makes the surfaces very wear-resistant, acid-resistant, alkali-resistant and salt-fog-resistant. The biggest advantage of them is its good climate-resistance. The paint membrane's life can reach 15 to 20 years generally, and it will be used chronically without fading and stripping. The board performs excellently. 2. Fireproof: The core is shaped by pressure at a high temperature. It is non-poisonous and fireproof, confirming to the fire-resistant demand of the building rule completely. 3. Light in weight and easy to process: The panel is light in weight and easy to process. Its core board is of low density, high intensity and high toughness. Because of the board's light in weight, it will reduce the damage in earthquakes and be transported easily. Besides, the board is very easy to process, so the cost of the project will be reduced. 4. Sound insulation and heat-insulation: The board is made up of several layers. 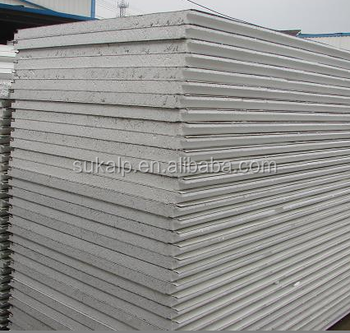 The middle core adopts a special craft structure, so the product is good in sound insulation and heat-insulation. 5. Various colors: The board is rich in color style, which provides many selections for customers. It can also be adjusted for the needs of the customers, and satisfy the varied designs of the architects.